Our unisex wrap-a-round lab coats are made from a blend of 65% polyester and 35% cotton fabric offering a smooth and comfortable wear. It features a reversible tie closure which allow for a range of adjustment for ideal fit, a double breasted cross over front, double hip pockets, single breasted pockets for accessibility, and elbow length sleeves for ease of movement. 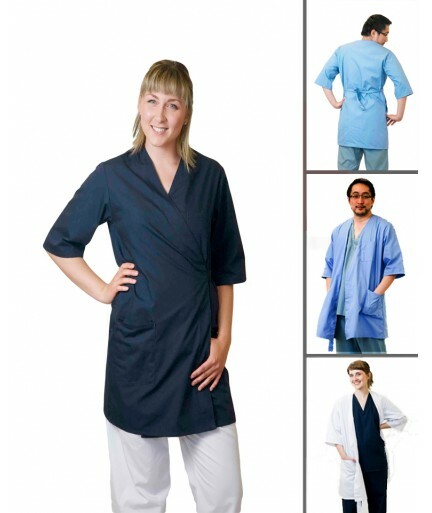 Our multipurpose wrap around lab coats are ideal for everyday use.